Hey art pals! 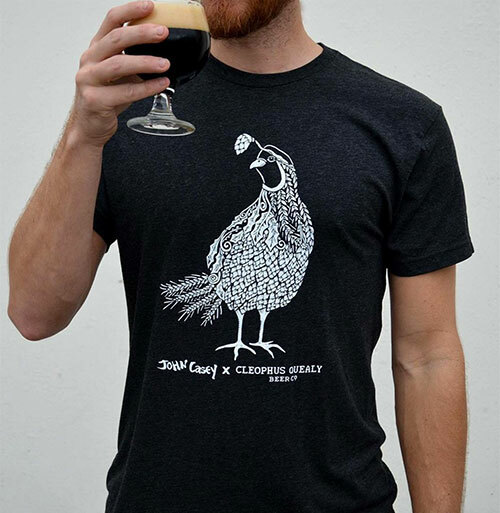 I have designed a new California Quail t-shirt for tasty craft brewers Cleophus Quealy in San Leandro, CA for SF Beer Week. In conjunction with this tee release, I will also be showing 35+ smallish hand-painted cutouts. The opening is Monday eve, 2/13/17, 6pm-9pm. Dogs, children, and well-behaved adults are all welcome. I hope to see you there! 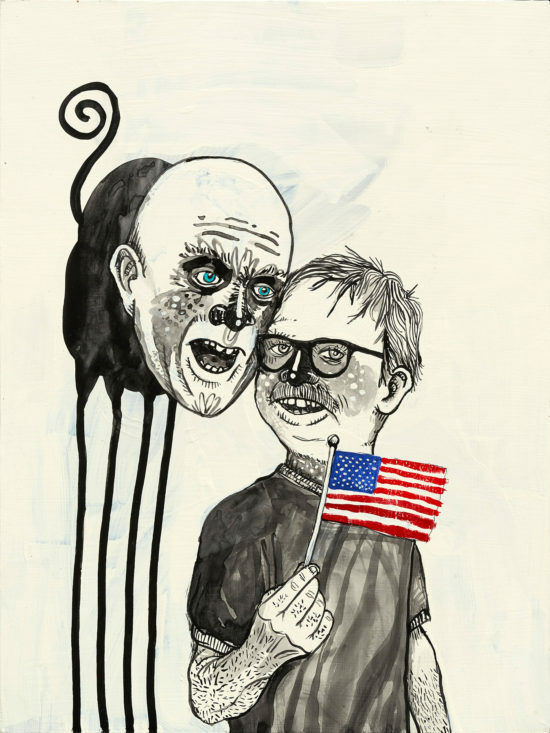 From the CQ press release: Oakland artist John Casey is taking over the Cleophus Quealy tasting room on Monday, February 13th from 6-9pm with his cadre of complex characters, infused with dark magical surrealism. 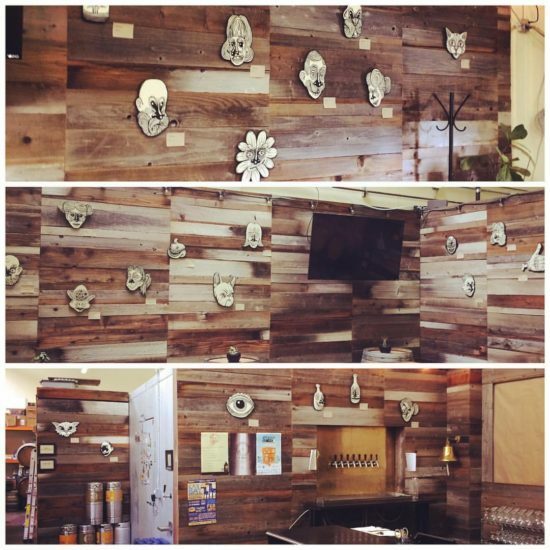 Enjoy some small bites from our food truck and a pint of our special SF Beer Week release of barrel-aged Cherry Red while taking in Casey’s custom multi-media work, specifically catered to our space. This will be your chance to get your hands on an exclusive SFBW collaborative tee, designed by Casey just for us! The founders of Antler are thrilled to announce the opening of their second space Talon Gallery! With Talon the curators aim to lean the focus toward the darker end of the Antler Gallery spectrum. We’ll be maintaining elements of the nature-inspired themes and high levels of technical skill but also expanding toward some more folkloric narratives and figurative works. 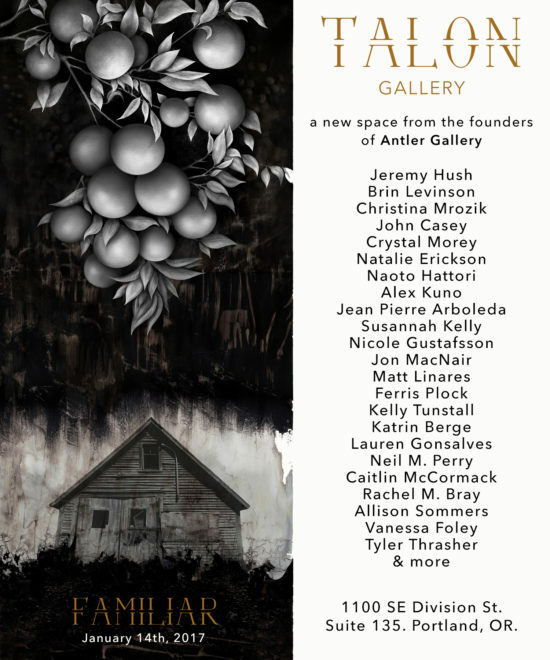 We will open on Saturday, January 14th with our inaugural group show, ‘Familiar”. 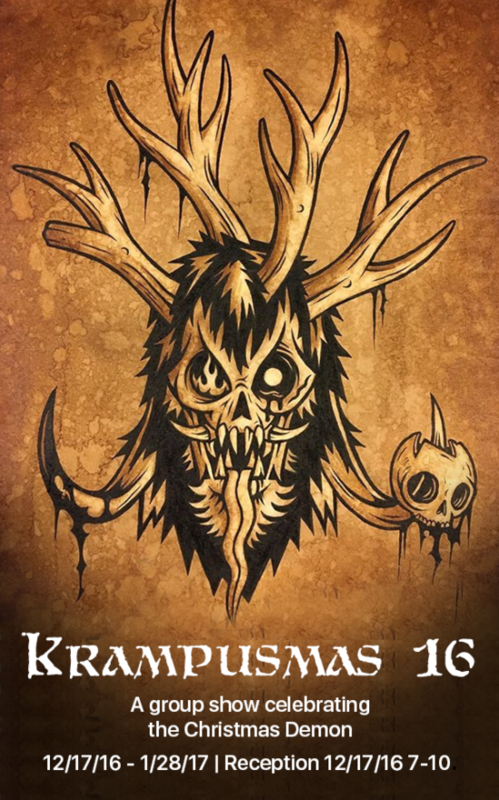 The title bears reference to the fact that while this new gallery may carry some resemblance to Antler it is an entirely different entity with a life and personality of its own. We love how this can be compared to the daemon spirits that are companions to witches and other individuals across numerous mythologies. Please keep your eyes peeled for some special surprises and giveaways to celebrate the opening. 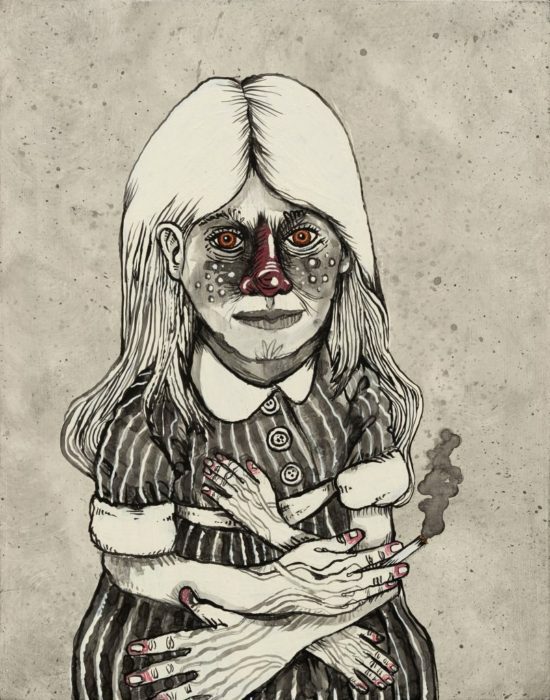 My piece in the show titled “Fourth Hand Smoke”, acrylic on panel, 14″x11″, 2016.
c2c project space is pleased to announce the upcoming c2c/wc annex exhibition, “me/you”. 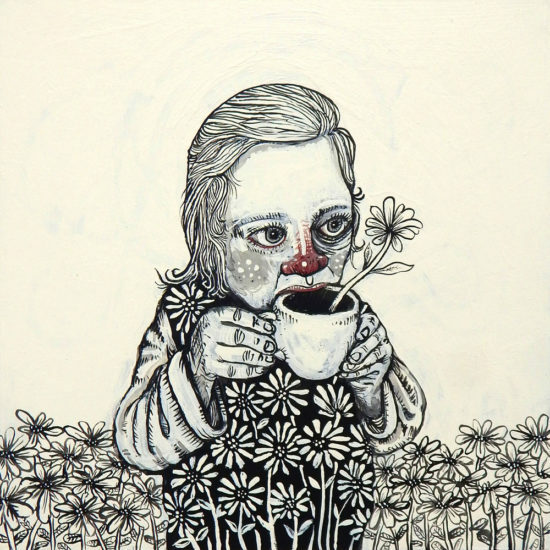 This show will feature figurative work and portraiture by artists who subvert these traditional approaches through a redirection of focus that uses their depictions of the “other” to provide glimpses of whom they, the artists, are themselves. This is achieved be a variety of means. Style, perspective, the color or tone of the work, and the choice of a subject are all employed as devices to create subtle, self-referential elements within the group of work that function to expose self-revelations, which grow in clarity as viewers discover them. As this show will run concurrently with project 12 in the main gallery, a unique three-person installation that will challenge notions and perceptions of the space, we thought it also appropriate to push the spatial parameters of the c2c/wc exhibition space by welcoming a whopping 13 artists into this show. The techniques presented will range from realistic rendering to abstraction and the collection of work is displayed in a way that is intended to transcend the presence of the individual and exude a crowd-like energy. 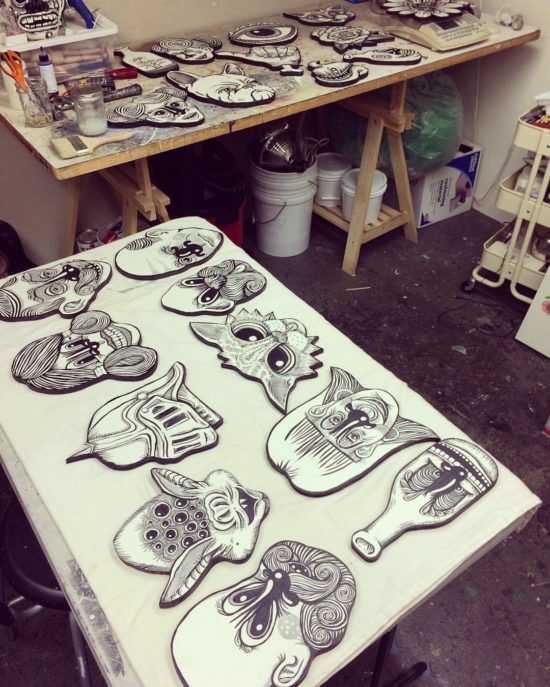 The 13 featured artists are, in no specific order, Aaron Poser, Elise Siegel, Adam Novak, Sarah Thibault, Jenny Ottinger, Grace Rosario Perkins, Amanda Church, Tebby George, David Lasley, Bill Samios, Yuki Maruyama, Matt Smith Chavez-Delgado, and John Casey. The show opens Saturday, January 7, 2017 with a reception from 6-9pm and continues through February 5 with gallery hours on Sundays, Noon-5pm. 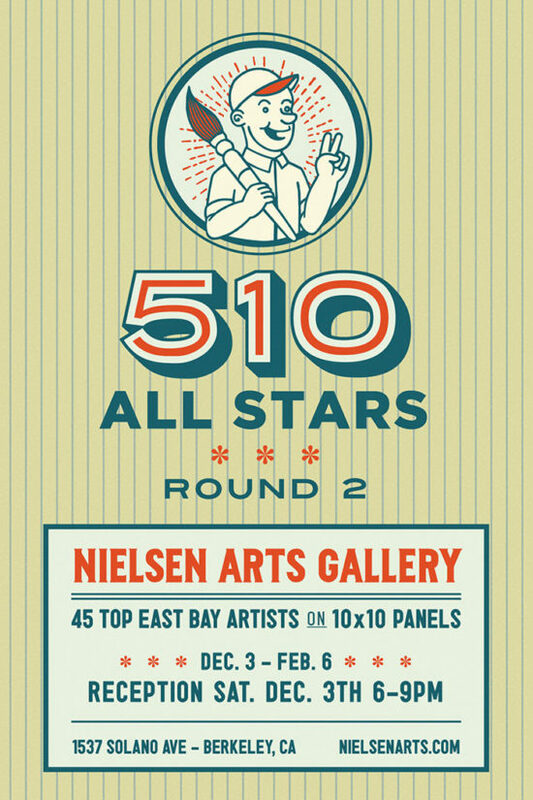 I have a piece in this fun show at 63 Bluxome Street Gallery in San Francisco, CA. You can see the available work here. I have the piece below there. 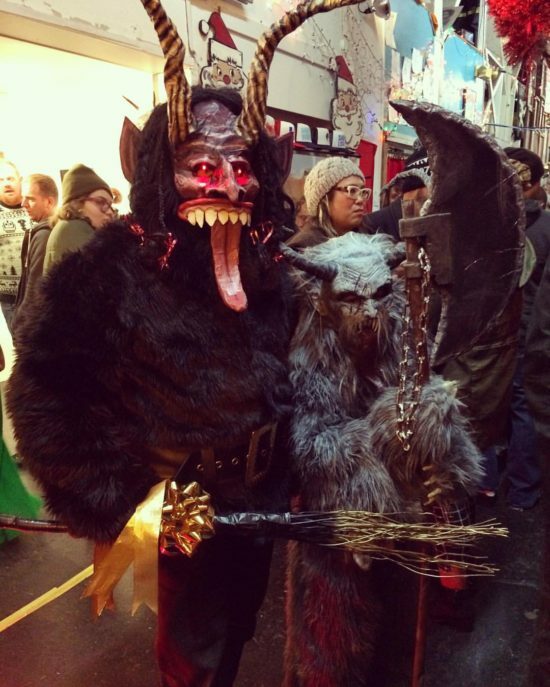 I even donned my old Krampus costume and hung with all the other Krampii, big and small. I have this 10″x10″ painting in this cool group show at Nielsen Arts in Berkeley, CA along with many very talented Bay Area folks.